Clapboard is called the finishing panels, which carry out the decoration of the walls and ceiling, both inside and outside the house. 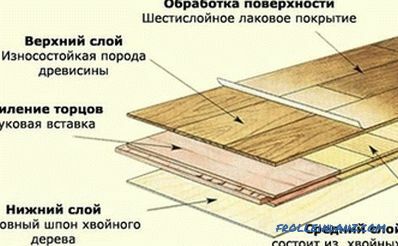 The industry produces wooden and plastic panels, although the latter are used infrequently for finishing private houses. Wooden wall paneling is easy to install, has a beautiful appearance, hides all the irregularities of surfaces, has good sound and thermal insulation properties. Therefore, painting the wall paneling is perhaps the most difficult problem that one has to face during the finishing of the premises. The lining can be painted with acrylic, oil, alkyd paints. For the decoration of the interior of the premises mainly pine panels are used. This material has a pronounced natural texture and a beautiful golden shade of color. Theoretically, under ideal operating conditions, lining is able to maintain its appearance for a long time - from 30 to 40 years. The paint protects the wall panel from exposure to sunlight and mold. But in order to ensure ideal operating conditions, it is necessary to exclude the contact of the decoration with the sun's rays, because under their influence the panels will inevitably dull in the first 5-7 years. To protect the material from the sun, it must be protected. And the easiest way to provide such protection is by applying a layer of paint on the wood. 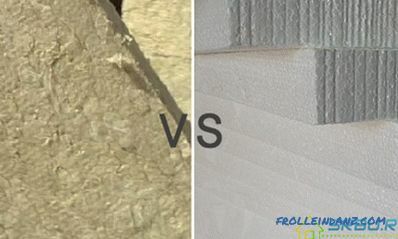 In addition to this reason, lining, like any material made of wood, is susceptible to mold and mildew. She is also afraid of fire, moisture and insects. It is possible to provide sufficiently reliable protection by selecting the paint correctly and performing painting in compliance with all the requirements of the technology. Painting the wall panel inside the house can also be caused by a quite prosaic reason - the desire to change its color or give the interior of the house the desired color scheme. This is more than justified, since anyone can master the painting technique, therefore there is no need to involve a professional designer in the interior design and there is an opportunity to do everything with your own hands and to your taste. 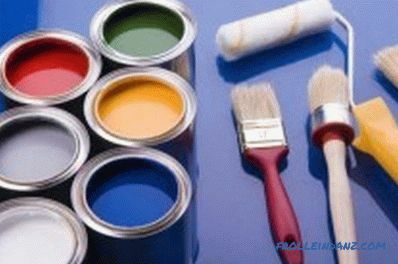 For painting lining, you can apply oil and acrylate paints, as well as acrylic akvalaki and alkyd paints. In deciding how to paint the wall panel, you need to properly navigate among this diversity. In order for the wall panel to shine and its color to be uniform, it is necessary to stir the paint thoroughly before starting work. Oil and acrylic paints are usually used for outdoor work, although such use is not a dogma. Both of these paints are characterized by increased resistance to precipitation, are well absorbed into the wood. But nevertheless, paints on the acrylate basis are preferable, since they keep the original color and dullness of the painted wall panel in comparison with oil paints. Panels painted with acrylic paint will look like new, while oil-painted panels will quickly lose their original attractive appearance. In addition, painted with acrylic paint panels have a good vapor barrier, but at the same time, it is possible for the wood to breathe, which reliably protects the paneling from cracking. The only thing that does not speak in favor of acrylic paints is their high price. 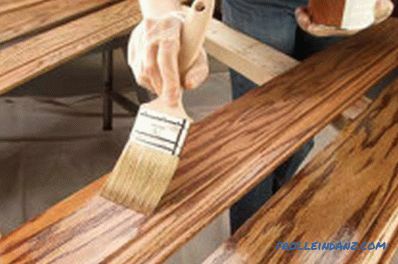 Oil paint for lining is well absorbed into the wood and does not let moisture, but with time may lose color. It is best to paint the wall paneling indoors with environmentally friendly acrylic watering cans, in order to avoid various allergic reactions in indoor people in the future. It is possible to use alkyd varnishes with increased hardness for indoor work, but it must be borne in mind that their service life is limited to 10 years at best, and then everything will have to be repainted. Often water-based paints are used to paint lining. This is mainly due to the fact that they are much cheaper than other paints. But in the end, such painting is more expensive, since the life of such paints is small, and the panels will have to be repainted every 3-5 years. In order not to make a mistake in choosing, you need to carefully study the instructions for its use before you buy. In such instructions must be information about where and how you can apply this paint. 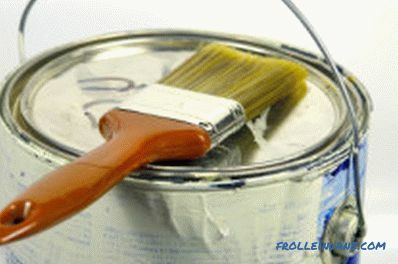 When choosing how to paint the wall panel indoors, do not hesitate to open a can of paint when you buy it and smell it. If the bank emits a sharp and unpleasant smell, then it is better not to take it. After all, pine panels tend to absorb odors, and then allocate them back. Therefore, there is a high probability that, having painted the wall paneling with such paint, you will have to think not about repainting, but about replacing the panels. 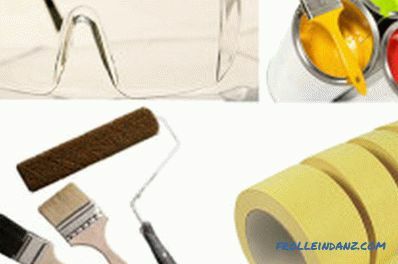 Tools for painting lining: roller, brushes, goggles, adhesive tape, paint. First, the surface of the panels must be cleaned of dust, dirt, and during the secondary painting and from the layer of old paint, otherwise the applied layer of paint will peel off, and all the work done will go down the drain. 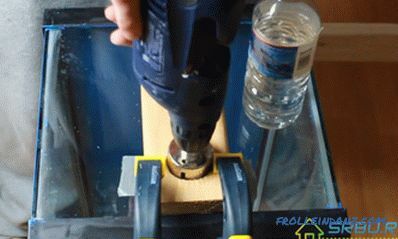 Usually, it is enough to wipe the paneling with a felt cloth dipped in hot water. But if the panels are very dirty or the old paint is firmly held in places, clean water will not help. To clean these places you can use your own cooked soda solution, dissolving 300 g of soda in 10 liters of hot water. After cleaning, for better adhesion of the paint to the surface of the panels, they should be degreased by treating with any washing alkaline solution. After degreasing the surface of the wall paneling is ground. But for this operation, no sanding machine or sandpaper are used, the grinding of panels is performed with ordinary pumice stone. Before painting the wall panel, it must be cleaned with sandpaper from dirt and dust. After grinding, the surface of the panels is treated with linseed oil, or even better, with a mixture of drying oil and turpentine (50 g of turpentine per 1 l of drying oil). After drying the varnish, it is better to treat the surface with an antiseptic primer. You can risk and do without primer, but pine panels all the time of operation will produce resin, which, interacting with the applied layer of paint, will gradually reduce its protective properties. 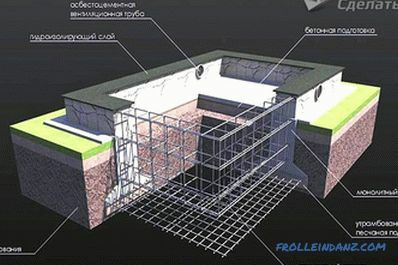 The applied primer layer is designed to prevent such interaction, thereby enhancing protection and prolonging the service life. If a fungus or mold is detected on the lining surface, the hearth must be cleaned with special wood bleach, and then treated with lacquer. Painting lining can be done with clear varnish, if the goal is to preserve the natural beauty and texture of wood, or paint to change the color of the panels. For painting, you can use a foam roller or spray gun, but it is better to do this job with a paint brush. The lacquer retains the natural color of the wall panel and has a long service life. In order to achieve a uniformly saturated color and gloss of the painted panels, the paint must first be mixed thoroughly, and only after that proceed to painting. To make sure that the color of the selected paint is exactly what you wanted, it is better to first make a small stroke and see how it will look on the panel of the wall panel. When doing the painting work on the wall paneling, we should not forget about the ends of the panels. 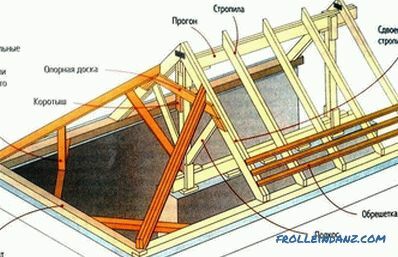 Since the ends are in contact with each other, each of them should be treated with a primer in 2-3 layers, and 2-3 layers of varnish or paint on top. When painting a wall panel, it is necessary to take into account that when applying a paint it is much more effective to apply it in several thin layers than with a thick one, although this significantly increases the painting time. But then a ball of paint or varnish applied in several thin layers will stay on the surface much longer and provide better protection. First, a thin layer of varnish or paint is applied to the paneling. Then you need to wait until it is completely dry and apply another layer. If there is a need or desire to better protect the wood panels, then after drying the second layer, the wall paneling is painted again. The lower layers of paint or varnish are applied by continuously moving the brush along the direction of the lining. Last, finish layer should be tried to make as thin as possible. Even in order to achieve maximum effect during painting and get rid of visible brush marks, it should not be painted in the direction of panel installation, but moving from top to bottom, from the ceiling to the floor. 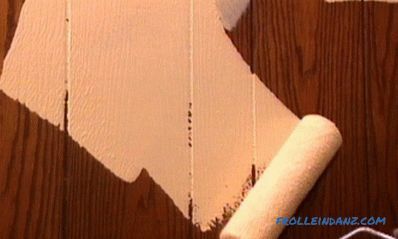 When applying a layer of paint, it is better not to press hard on the brush to speed up the work. You will get much better results if you apply a coat of coating using only the tips of the brush, and not its entire area to the base inclusive. To make it easier to work in hard-to-reach places or in places of contact between the wall paneling and baseboards, it is better to use not a wide brush, but a thin one - maximum 5 cm wide. With such a wealth of funds for painting, making a choice on how to paint the wall panel is very difficult.Much of this choice depends on the personal preferences of the owners, their ideas about beauty and comfort in the house, as well as on their financial capabilities and focus on the final result. But regardless of the choice, correctly executed painting of panels of lining for many years will provide beauty and a cosiness to your house.